Want to learn how to build your own robots and connected devices? Arduino is the premier open-source DIY electronics platform, letting users control lights, motors, and sensors based on programmable inputs. 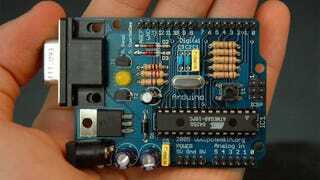 Right now, Jalopnik readers can score this complete Arduino guide, featuring over 130 step-by-step courses for over 90% off - just $14.99. This complete guide normally runs for $200, but today, Jalopnik readers can get lifetime access for just $14.99 - over 90% off retail value. Hit the link below to find out more.